Select "Get Name/Address" to go visit this location! Shared Parking in Front plus massive parking in rear. What you Don't Get is Name, Menu, Recipes, Trade Secrets, Social Media Contacts, ETC... as this is an Asset Sale Only!! If you are looking for a restaurant location in the Eagle Rock area this is a must see. Sitting on Colorado Blvd near a major intersection the traffic here is heavy. Owner is selling at a sacrificed price and looking for a FAST SALE as there is an illness in family requiring much care requiring the owner to sell. The building decor has a very comfortable and inviting feel. You can add a few things to pull your concept into the place and be up and running right away. So check out the Pictures by signing the "NDA" and get name and address as well. Wen Visiting PLEASE remember NOT TO TALK to employees about the restaurant being available for sale. Once you take a look and see this is such a great deal Don't Wait as this Restaurant should sell FAST!!! 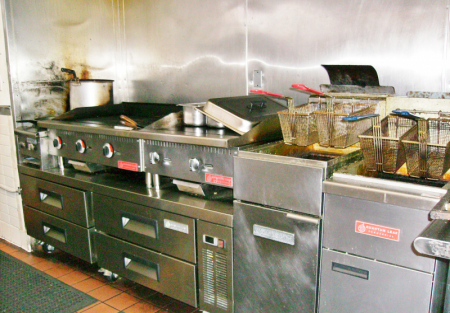 Go To SellingRestaurants.com to get more detail on Listing 5430.